Our rich history dates back to St. Matthew of Conshohocken, Pennsylvania, which was founded in 1866. In September of 1863, barely two months after the Battle of Gettysburg, during the American Civil War, Fr. Richard Kinahan, pastor of St. Matthew’s Parish decided to do something that no one else had ever done – open a school for the children of his parish. 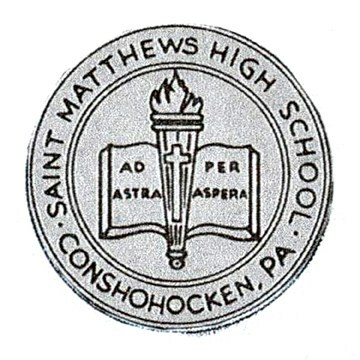 It was a combined elementary and secondary school, and within a few years the school had grown so large that the secondary school was separated to form St. Matthew High School, which held its first commencement exercises in June of 1866. It adopted the colors blue and white. In 1875, Father John Monahan, pastor of St. Patrick’s Parish in Norristown, Pennsylvania decided to open a school for the children of his parish. St. Patrick, too, was a combined elementary and secondary school. 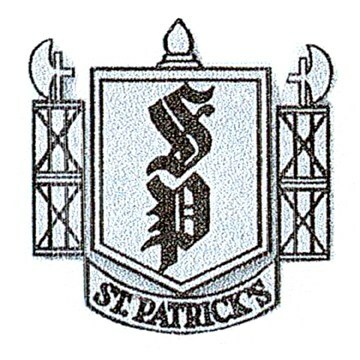 As the years went by and the number of student grew, the secondary school was separated to become St. Patrick High School. It adopted the colors green and gold. 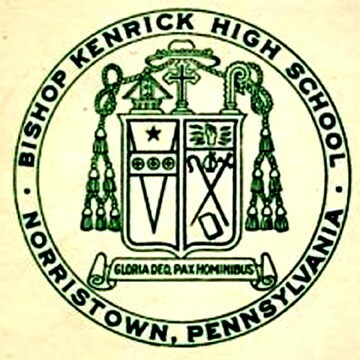 In 1955, because of increasing enrollment and a lack of building space, the decision was made to close St. Patrick High School and open a new high school in Norristown, Bishop Kenrick High School. The new school was named for the Irish-born, 3rd Bishop of Philadelphia, Francis Patrick Kenrick. Bishop Kenrick was remembered for calling on the pastors in his diocese to open schools for their parish children. This call was first answered by Fr. Richard Kinahan at St. Matthew’s. Bishop Kenrick High School retained the colors green and gold as a reminder of its roots at Saint Patrick’s High School. In 1966, on the 100th anniversary of St. Matthew High School, the decision was made to change the name to Archbishop Kennedy High School in honor of Archbishop Thomas Kennedy, the second principal of Saint Matthew High School. Archbishop Kennedy retained the colors blue and white. 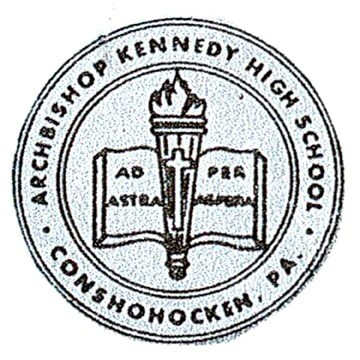 In December of 1992, the Archdiocese of Philadelphia announced that beginning in the fall of 1993, Archbishop Kennedy High School in Conshohocken and Bishop Kenrick High School in Norristown would merge together to form Kennedy-Kenrick Catholic High School at the Bishop Kenrick site in Norristown. Kennedy-Kenrick adopted the colors blue in honor of St. Matthew and Archbishop Kennedy and gold in honor of St. Patrick and Bishop Kenrick. In 1954, in Pottstown, Pennsylvania, St. Pius X High School was established. The groundbreaking ceremony for the school building was in July, 1954, and hundreds of people gathered in the field in Lower Pottsgrove, eager to see the land that would eventually hold the first Catholic high school in the Pottstown area. In 1955, the new high school, named after the pope so dedicated to children, officially opened. St. Pius' colors were blue and gold. For over a century, many thousands of students passed through the halls of St. Matthew, St. Patrick, Archbishop Kennedy, Bishop Kenrick, Kennedy-Kenrick Catholic and St. Pius X. These six schools created rich legacies that will live on forever in the hearts of their alumni and communities. 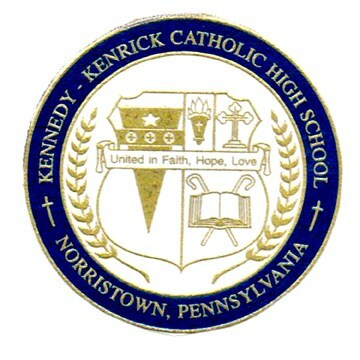 In 2008, it was announced that Kennedy-Kenrick Catholic High School and St. Pius X High School would close, and the school communities would merge into a modern, state-of-the-art high school in Upper Providence Township, Montgomery County, about halfway between Norristown and Pottstown. Both schools held their final graduation ceremonies in June, 2010. Pope John Paul II High School opened in September, 2010, and it is the Philadelphia area's first new Catholic high school and school community in 43 years The opening of our school is a tribute to the traditions of our six schools of legacy, and the Archdiocese's commitment to that legacy by providing an exceptional Catholic education for generations to come. 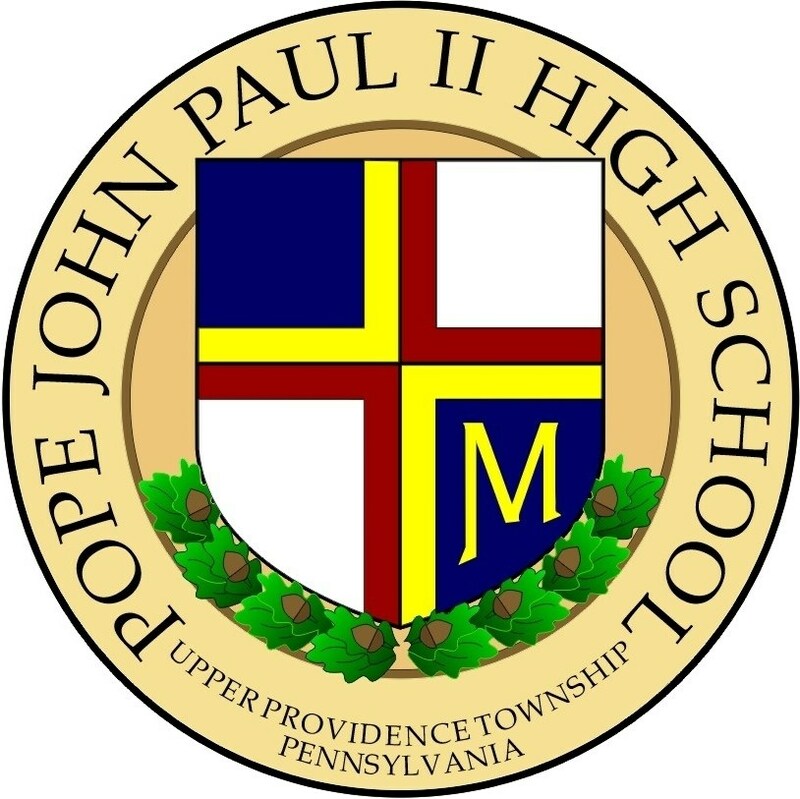 At Pope John Paul II High School, the faculty and administration continue to honor this commitment and provide students with formation in the Catholic faith, as well as the education to excel in academics and life alike. © The histories of St. Matthew, St. Patrick, Archbishop Kennedy, Bishop Kenrick and Kennedy-Kenrick were compiled/written for the final Kennedy-Kenrick graduation ceremony by Mr. Joseph Lynn, Assistant Principal for Student Affairs at Pope John Paul II.